For a storied automaker like Aston Martin, it’s hard to imagine that at one time the company was making just five cars a week at its original location in Newport Pagnell, England. Add Autos as an interest to stay up to date on the latest Autos news, video, and analysis from ABC News. Best known as the getaway car of James Bond, Aston Martin has a complicated history that includes a long line of owners — and seven bankruptcies. 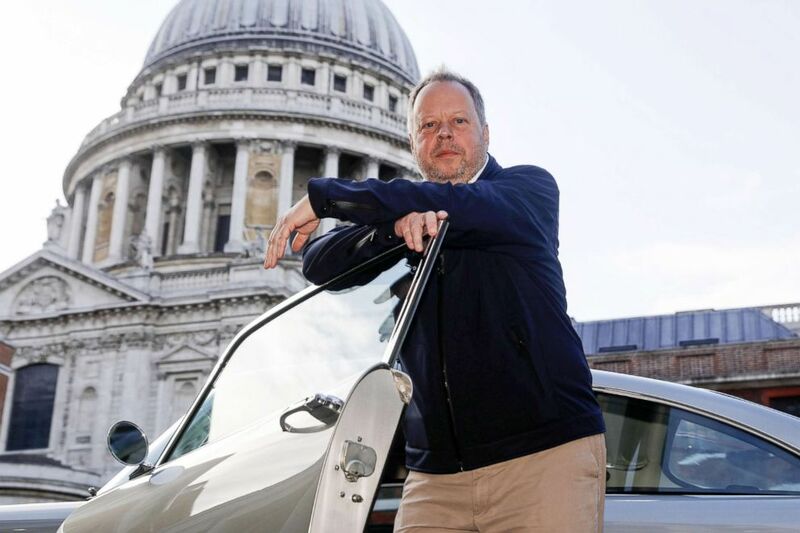 Andy Palmer, CEO since 2014, has steered the 105-year-old automaker through a hairpin turn by taking it public — the first listing of a U.K. carmaker on the London Stock Exchange in three decades. “The [initial] feedback from investors was better than expected,” Evercore ISI auto analyst Arndt Ellinghorst told ABC News. Aston Martin did a good job “selling the dream” to investors, he added, noting that Ferrari did the same in 2015 when it pitched itself as a luxury goods maker to Wall Street. But the company will need to reassure investors that its aggressive growth strategy will not face any serious roadblocks, Ellinghorst said. Under Palmer’s Second Century Plan, Aston Martin will debut a new model every year for the next seven years. Aston Martin’s DBS Superleggera reportedly can reach zero to 60 mph in 3.2 seconds. So far, three models have launched — the DB11, DBS Superleggera and Vantage. The next model will be Aston Martin’s first-ever SUV in 2019, followed by a mid-engine supercar and the all-electric, hyper-exclusive Rapide E sedan — of which only 155 will be made. The company’s turnaround efforts were initially a culture shock to its 2,500 employees, according to Mike Duff, Europe Editor of Car and Driver magazine. Part of that small-minded culture stemmed from a lack of investment. Andy Palmer, chief executive officer of Aston Martin Lagonda Global Holdings Plc, poses for a photograph with an Aston Martin DB5 automobile outside the London Stock Exchange in London, Oct. 3, 2018. Some of those hires were the biggest names in the industry: Matt Becker, Lotus’ head of vehicle dynamics, left to join Aston Martin as its chief engineer. Chris Goodwin, McLaren’s legendary chief test driver, now does the same for Aston. Palmer’s right-hand man, Simon Sproule, reportedly gave up Tesla stock options to become Aston’s vice president and chief marketing officer. “There’s a strong element of ‘What makes my enemies weaker makes me stronger’ in the hiring,” Duff said. 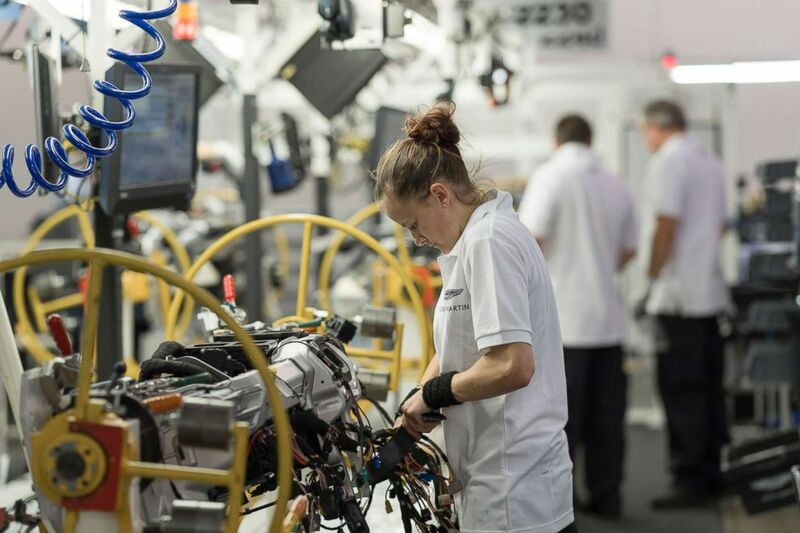 At Aston’s state-of-the-art facility in Gaydon, England, factory workers hand-build 25 sports cars a day — a number that will be significantly ramped up to meet the lofty sales figures the company has promised investors. 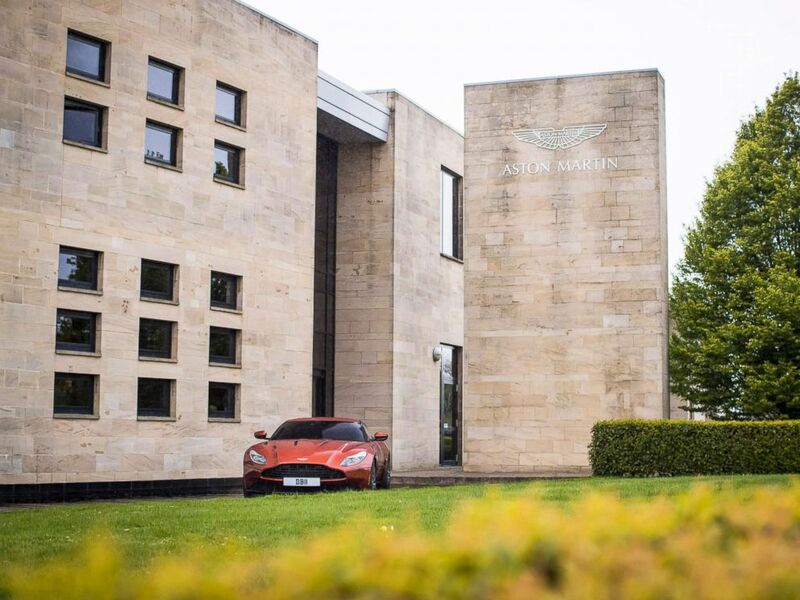 The entrance to Aston Martin Lagonda’s global headquarters in Gaydon, England. Aston Martin said it expects to deliver between 6,200 and 6,400 vehicles this year, up from 5,117 in 2017 and 3,229 in 2016. Those numbers jump to 7,100 to 7,300 by Dec. 31, 2019, and 9,600 to 9,800 by 2020. Thirty percent of sales are in the U.K., while the U.S. composes 25 percent. Aston Martin spokesman Matt Clarke dismissed the production concerns raised by analysts, saying the company has been furiously hiring workers to keep up with demand. An additional 1,200 employees have been added to the payroll since the launch of the Second Century Plan, and the company’s global headcount will reach 5,000 by 2022. “We stand by what’s in the prospectus,” he told ABC News. Inside Aston Martin’s factory in Gaydon, England. 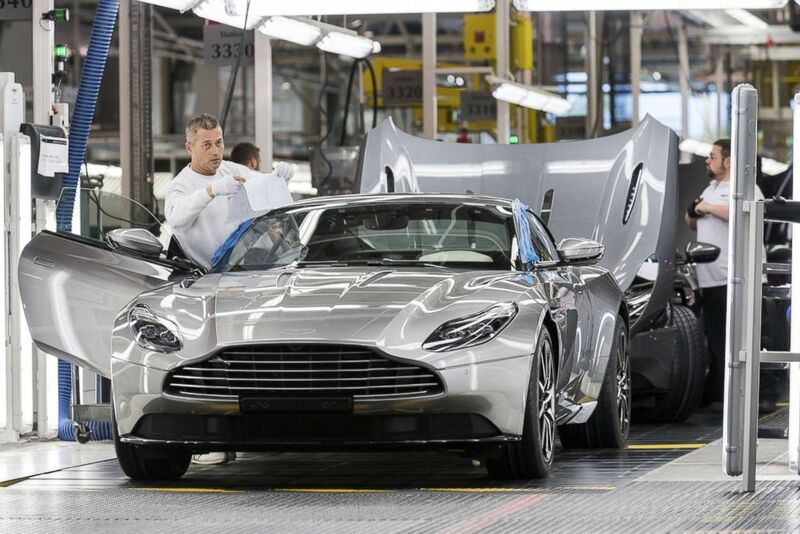 Some of these new employees will be stationed at Aston Martin’s new manufacturing site in Wales. The DBX SUV will be manufactured there as well as Aston Martin’s Lagonda vehicles. Aston Martin executives are revamping Lagonda, which was acquired in 1947, as the world’s first luxury zero-emissions marque. John Muirhead, Aston’s former brand communications manager, said the company struggled for years to survive. It takes 50 hours to paint each Aston Martin vehicle. Muirhead, who spent 19 years with Aston Martin, said the company could do more to publicize its name. Laura Schwab, president of Aston Martin of the Americas, said the positive response to the company’s latest products have reenergized the brand. 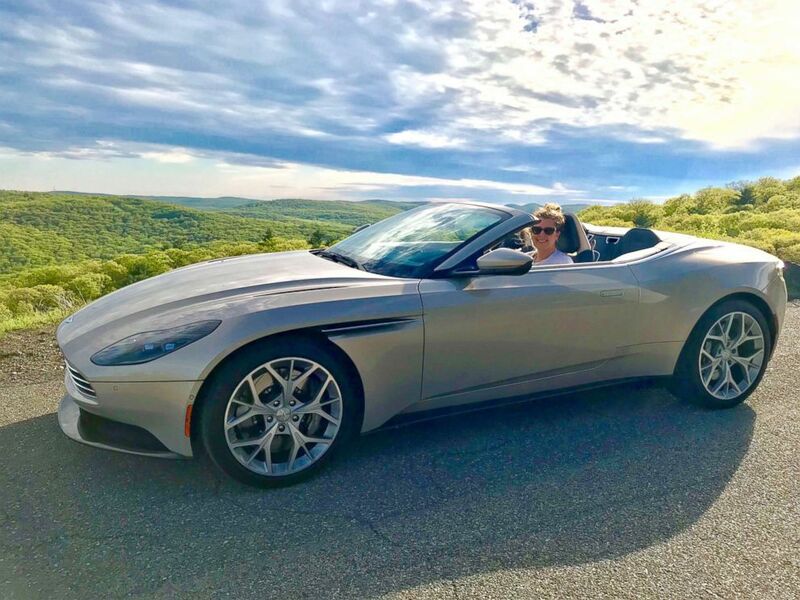 ABC News’ Morgan Korn drives the Aston Martin Volante. Aston, beloved by cinephiles for its decades-long association with the James Bond franchise, has a dedicated fan base, Duff said, though it’s “a little less fanatical” than Porsche and Ferrari. 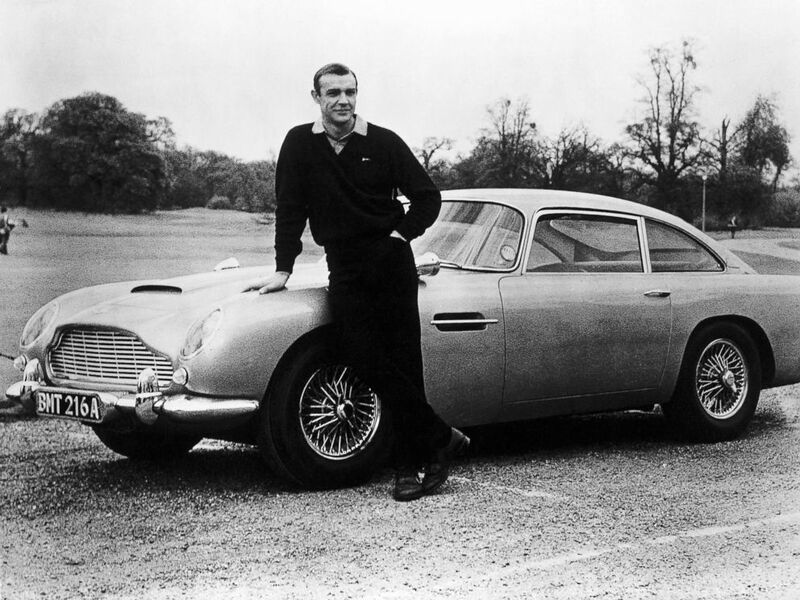 In this file photo, actor Sean Connery, the original James Bond, is pictured here on the set of Goldfinger with one of the fictional spy’s cars, a 1964 Aston Martin DB5. Dominik Dybala, general sales manager at Glenview Luxury Imports outside Chicago, said Aston’s Vantage sports car has already caught the eye of die-hard Porsche fans. 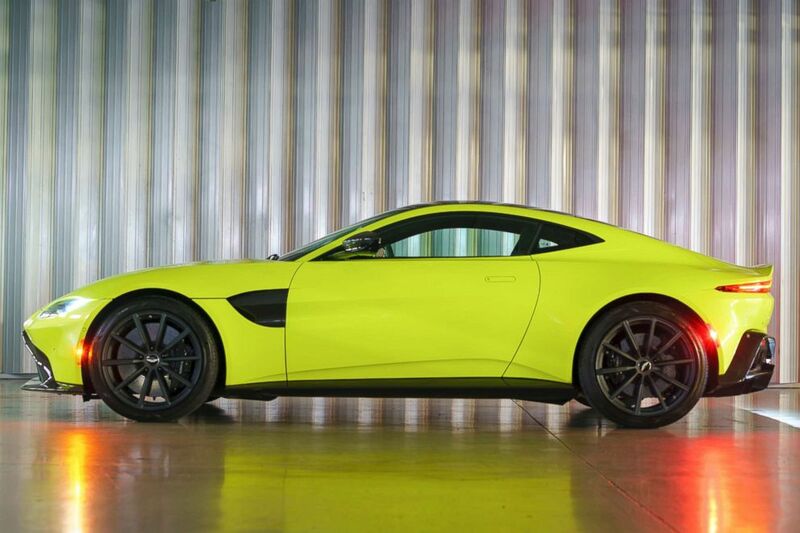 Aston Martin is hoping the brand new Vantage will appeal to a younger demographic. Newer models are just one part of Aston’s comeback. The company has announced plans for a mid-engine sports car to compete with Ferrari, McLaren and Lamborghini. And its “continuation” cars — the DB4 GT and DB5 — have attracted attention from deep-pocketed auto enthusiasts who can drop $2.5 million on a limited-edition vehicle. 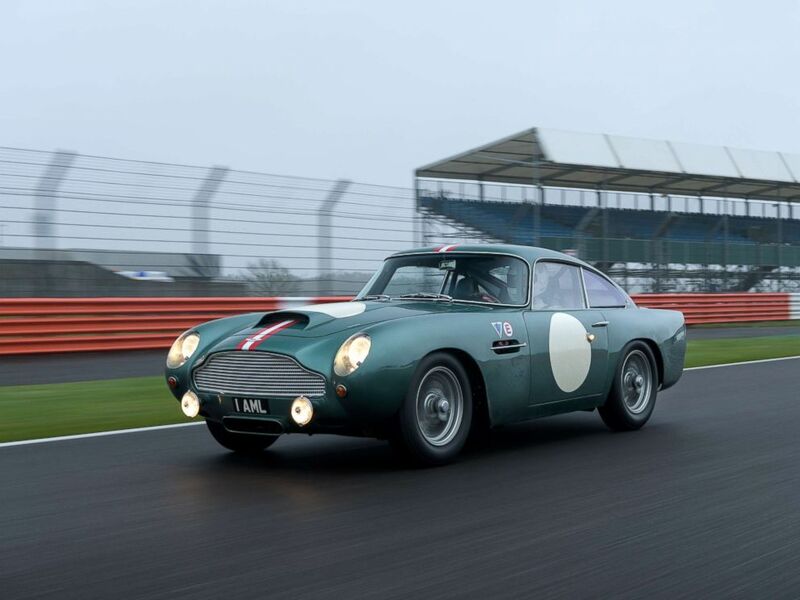 Aston Martin is producing 25 exact replicas of the original DB4 GT. Each costs $2.5 million. Schwab said she welcomed the comparisons to Ferrari that some in the media have made since Aston Martin went public.